Bhopal: In a rerun of what happened in Gujarat and Karnataka, a fake list of Congress candidates for the upcoming assembly polls in Madhya Pradesh went viral after it was posted on Twitter, leading to the Congress blaming the BJP for “fabrication and spreading lies”. 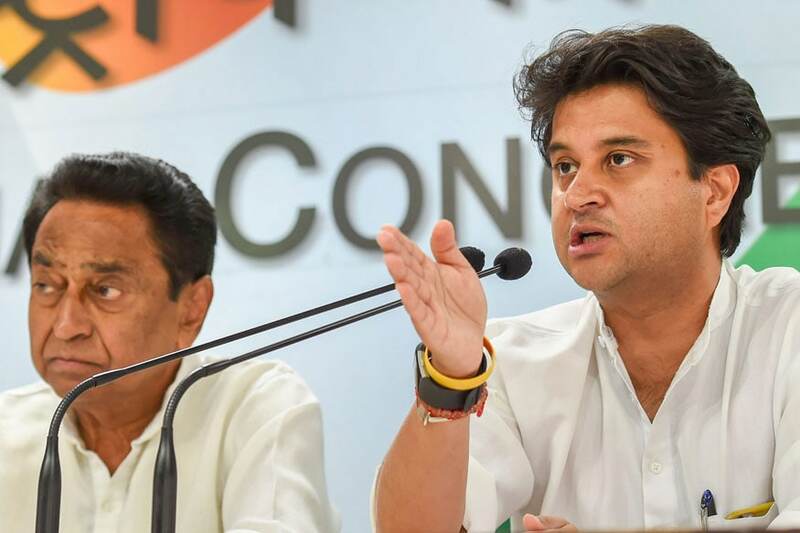 Dispelling the rumours, the party’s campaign committee chairman Jyotiraditya Scindia said the names of candidates are yet to be finalised and the process could take a week. The list of 230 candidates was shared on Thursday morning, a day after the Congress’ screening committee met and discussed candidates in New Delhi. It created a flutter in both political circles and on social media, but keen observers were quick to notice that the list was missing the name of Scindia himself, putting in doubt its authenticity. To add to it, several general category candidates were shown as contestants from seats reserved for backward classes. It also showed Amrita Singh, wife of co-ordination committee chairman Digvijay Singh, as a candidate from Budni, a constituency held by CM Shivraj Singh Chouhan since 2006. Questioned by the media, Scindia said he had no idea where the list came from. The screening committee met in New Delhi on Wednesday but names are yet to be finalized, he said, adding that the committee would meet once again after Dussehra. “The announcement of the list could take another five or six days,” he said. Sources told News18 that committee finalized almost 80 names on Wednesday. Congress spokesperson for MP, Shobha Oza, termed the list ‘fictitious and fabricated’ and blamed the BJP for it. “In the way BJP comes up with fake and doctored videos on social media, it has prepared and issued this list as well,” said Oza, adding that it showed BJP was unnerved. BJP, however, termed the list an outcome of Congress’ internal tussle. “We have confirmed inputs that one of the factions of Congress had released the list when the screening committee meeting was underway in New Delhi,” BJP spokesperson Hitesh Vajpayee said.